English born architect, John Power, was the Kingston City architect from 1866-1882. During this time he designed numerous prominent buildings such as St. George’s Hall, the Registry Office and the Kingston Fire Hall #1 which has now been converted into a Lone Star Café restaurant. Built along the Kingston Harbor waterfront in 1876, this was the city’s first fire Hall. In the 1970’s the building was converted into a restaurant. The building was designated a historic building under the Ontario Heritage Act in 1981. 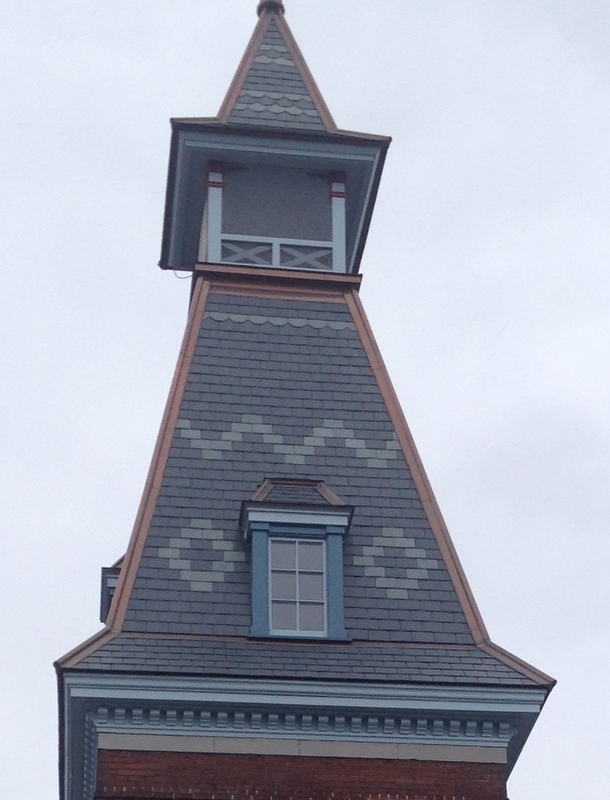 In 2014, the City of Kingston replaced the mansard roof of the main building and the roof tower with new slate to match the colors and pattern of the original roof. Back in the day, the tower was the main architectural feature. The restoration work also included the reconstruction of the tower dormers, waterproofing, new copper flashing, eaves troughs, ridge caps, and wood repainted. All work performed to resemble the original building based on historical photographs. North Country Slate supplied 18 squares of our North Country Unfading Black (16” x 10” x ¼”) and 2.61 squares of our North Country Unfading Green (16” x 10” x ¼”).